Dr. Erno Scipiades Daniel died suddenly and unexpectedly at his Santa Barbara, California home on Saturday, February 21, 2015. He was 68 years old. Dr. Daniel was a loving husband, father, and grandfather, and will be missed dearly by his loving wife, four children, and their families. Dr. Daniel was born on December 15, 1946, in Budapest, Hungary. He was the son of professional musicians Dr. Erno and Katinka Daniel. Dr. Daniel was a young child during the Hungarian Revolution of 1956 and its aftermath, the events of which transpired mere blocks from his childhood home in Budapest. To celebrate his 60th birthday, his entire family joined him for an unforgettable trip to Hungary and Romania. As a teenager, Dr. Daniel immigrated to the United States in 1960 with his mother and sister where they were reunited with his father who had fled Hungary a decade earlier. Dr. Daniel became a United States citizen in 1964. He was a proud American who believed deeply in American ideals and held strong convictions about the great freedoms and responsibilities we enjoy as American citizens. Dr. Daniel was a graduate of the Santa Barbara High School class of 1964, and in 1968 he received an undergraduate degree in chemistry from the California Institute of Technology. Dr. Daniel received a master’s degree and Ph.D. from the University of California at San Diego, writing his thesis on Magnetic Resonance Spectroscopy. In 1975, he completed his M.D. at the University of California Los Angeles School of Medicine, and he completed his residency training in Internal Medicine at UCLA in 1978. Dr. Daniel met the love of his life, Martha Peaslee, at the UCLA Medical Center where she was a registered nurse. In a true love story, they married in Martha’s childhood hometown of Stillwater, Minnesota, on August 14, 1976, less than six months after their first date. At the time of his death they had been happily married over 38 years. Being a husband and father were the greatest joys of Dr. Daniel’s life. Erno and Martha have four children: Kristina, Michael, Mary, and Monica. Dr. Daniel had an unwavering commitment to his family and his greatest happiness was being with them. Professionally, Dr. Daniel was a renowned physician who practiced since 1978 at the Sansum Clinic (formerly the Santa Barbara Medical Foundation Clinic) in Santa Barbara, California. Early in his career, Dr. Daniel pursued an interest in the developing medical specialty of geriatric medicine, and was among the first physicians in the United States to be board certified in the specialty. He had special interests in dementia and Alzheimer’s Disease, and he lectured across the country and was the author of textbook chapters, papers, and a variety of educational materials on the topics. For his work, Dr. Daniel was recognized by the Alzheimer’s Association’s Santa Barbara chapter with their 2001 Leadership Award. At the time of his death, Dr. Daniel also served as the Medical Director of the Vista del Monte Rehabilitation and Care Center and was on the medical and scientific advisory board of the Center for Cognitive Fitness and Innovative Therapies of Santa Barbara. In 2008, Dr. Daniel published a book, Stealth Germs in Your Body, which received national attention. Dr. Daniel was a special kind of doctor whose story is best told by the numerous patients and families whose lives he touched. He was a master diagnostician who remembered every medical and personal detail about his patients. He will be greatly missed by his many colleagues at the Sansum Clinic and Cottage Hospital, his loyal patients whom he treated as family, and their families. Dr. Daniel is survived by the love of his life, Martha Peaslee Daniel, and their four children and their families: Kristina Daniel Lawson and her husband Matt Lawson of Walnut Creek, California; Michael Peaslee Daniel and his wife Erica Lash Daniel of Truckee, California; Mary Daniel Gullett and her husband Randy Gullett of Foster City, California; and Monica Ann Daniel and her boyfriend Andre Shevchuck of Pleasant Hill, California. Dr. Daniel was the proud grandfather of Katherine Lawson (10), Graham Lawson (5), Tyler Daniel (3), Molly Daniel (1), Jonathan Gullett (5), and Evan Gullett (1). 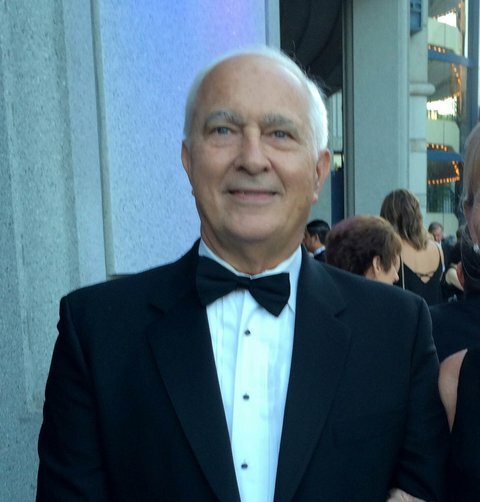 Dr. Daniel was thrilled to be expecting his seventh grandchild – a boy – who is due to be born in the summer of 2015. Dr. Daniel is also survived by his sister, Alexa Maland, her husband, Lynn, and their two children, Daniel and Sarah of Salt Lake City, Utah, and by his first cousin and lifelong best friend, Dr. Peter Patkos, and his family, of Budapest, Hungary. In recent years, he enjoyed a special friendship with his sister-in-law, Ann Bunce, and her husband, Dr. Brian Bunce, of Stillwater, Minnesota. He was incredibly fond of his West Highland Terrier, Ollie. Dr. Daniel was predeceased by his parents, Erno and Katinka Daniel, and by his in-laws, Ernest and Mary Peaslee. A funeral Mass is planned for Saturday, February 28, 2015 at 10:30 a.m. at our Our Lady of Mount Carmel Catholic Church at 1300 East Valley Road in Montecito, California. A celebration of his life will follow the Mass at The Fess Parker Resort at 633 East Cabrillo Boulevard in Santa Barbara. As he wished, Dr. Daniel will be buried at a later date in Stillwater, Minnesota, alongside Martha’s family. Dr. Daniel spent his entire professional career at the Sansum Clinic and loved practicing medicine in Santa Barbara. The family extends special thanks to Dr. Thomas Beamer, Dr. Thomas Jones, Dr. Joseph Aragon, and Dr. Kurt Ransohoff. Memorial donations may be made to the Sansum Clinic in the name of Dr. Erno Daniel.